Check out these 5 home remedies to get rid of stretch marks naturally without wasting a penny on commercial products, which are useless in most cases! Stretch marks also known as striae are patches in the shape of lines formed on the surface of the skin. These marks usually appear in white, red or a lighter hue shade different from the original skin color. While stretch marks disappear as the time pass but little do they disappear totally. There may be many oils or remedies available in the market yet nothing is better than natural homemade remedies. Homemade remedies don’t cost anything and also doesn’t create any reactions of irritability. In this article, we are providing some homemade remedies that you can use to lighten your stretch mark scars. Find the reason because of which you have got those marks on your beautiful body and follow these all-natural remedies to lighten them to an extent. According to dermatologists, aloe vera stimulates fibroblast which in turn produces the collagen and elastin fibers, which helps in making the skin less wrinkled. You can either apply fresh aloe vera gel directly on the affected area or mix it with vitamin E oil and cocoa butter and apply thereafter. Apply this on the area until you see the scars to disappear. Castor oil is very beneficial for the skin as it has skin repairing properties. Regular application of castor oil to the stretch marks area will help in reducing their appearance. To apply it, heat the oil at moderate temperature and massages it to the area in a circular motion for about 5-10 minutes. 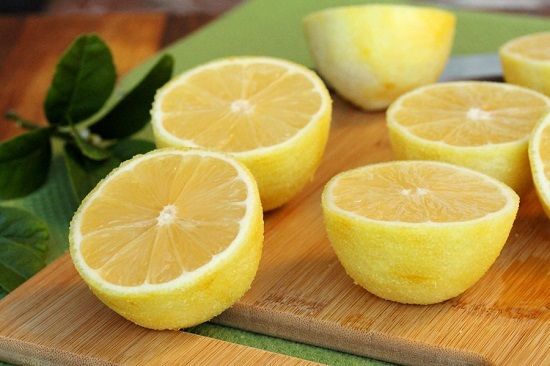 Cut a lemon in half and run the cut open side in a circular motion for a few minutes. Leave the area as it is for 15 minutes, after that wash treated area with lukewarm water. For more effective results, combine cucumber and lemon juice to treat the area. Olive oil provides nutrients and antioxidants, which improves stretch marks and scars on the skin. The amino acids in egg whites help in maintaining the elasticity and overall health of the skin. Clean the affected area and using a makeup brush, apply the egg whites to the area. Wait for 20 minutes and rinse off the egg whites and apply olive oil to moisturize the skin. Don’t go harsh with your skin and be realistic, stretch marks are permanent in nature. 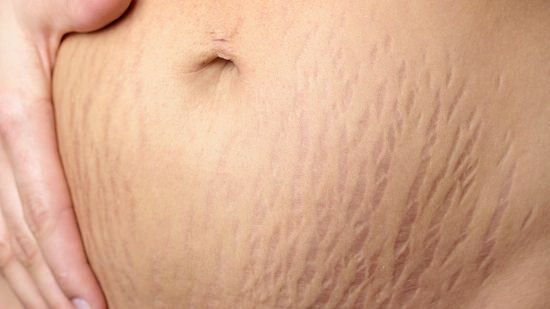 Keep in mind that you should never treat stretch marks during pregnancy or breastfeeding phase of your life. While we don’t recommend this but in case you want instant results, opt for laser treatment or TCA peels.